Tyre review data from 44 tyre reviews averaging 66% over 312,885 miles driven. 2018-03-18 - 235/40 R18 Challenger DSRT`s on a 2008 Mondeo 2.0 petrol.. What`s the correct tyre pressure? Have tried 28 psi front and 32 psi Front ( as recommended by Ford ) and none of these pressures give correct wear. Always end up with excessive wear in the center of tread? Tyre pressures are manufacturer dependant, so the correct tyre pressure is set by the vehicle manufacturer. That said, centre tread wear usually indicates overinflation. Have 205 55 R16 fitted to my Integra. I avoid hard braking but love cornering at speed. I inflate my tyres to 38PSI front and 36PSI rear. I've managed to get 40,000 miles or 65,000km from my set of Hifly HF805s. I believe they'll make it to 80,000km. So far, I can see a lot of negative comments about these tyres... maybe because they're Chinese and it's ok to vent racist comments about anything Chinese. Maybe it's the car... like the guy whose Yaris is spinning it's front wheels. The HF805 is a summer tyre. There's no ice in summer. On dry and wet, braking and cornering are absolutely excellent. The performance is actually amazing. Durability has been great. I'm surprised at the number of ignorant people who think tyres are made with secret recipes that only some manufacturers know. If I use a slick tyre in the wet, it doesn't matter whether it's a Michelin or a Pirelli. If it's a soft compound it's going to give better grip but wear faster than a hard compound. Wider tyres give better lateral grip. Thinner side walls give better handling but are harsher. The HF 805's pattern, compound are more than appropriate for the list of ordinary cars I've seen in this thread. Have you driven on the Hifly HF805 tyre? Please help millions of other drivers make an informed tyre choice and pick the correct tyres for their car by submitting your review of the HF805. I use these on a VW T5 9 seater and will continue to use them. They give a fair grip in the wet and are awesome in the dry. They are a summer tyre with M&S (mud and snow) markings and they reacted well - we didn't get stuck when others did. Road noise is minimal. They wear out just as fast as the Continentals I had before and are just as grippy. 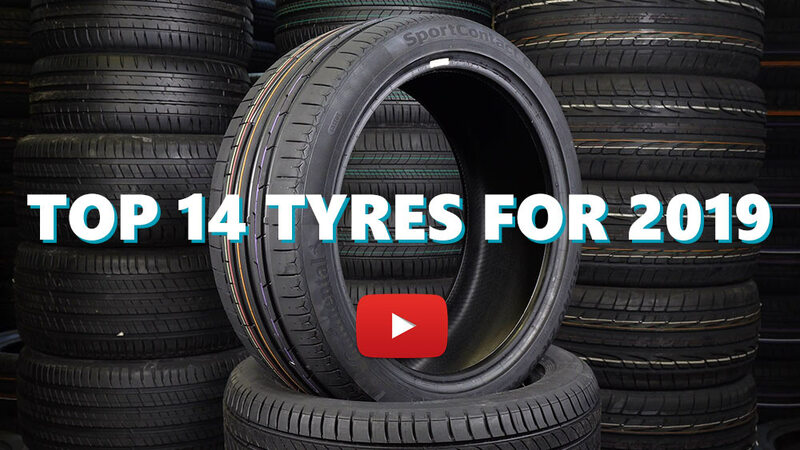 The van is a heavy weight and these tyres have proven their worth. Very disappointed. These tyres fitted in my Mazda Atenza 2006 and only lasted for 14000 km. I mainly drove in New Zealand town roads and some motorway, day grip was average but when wet it was dangerous. I drove on heavy rain day when it first fitted (day 3 I believe) and it had very limited grip, it slips very often when i re-start in the lights in wet condition and I was just doing normal acceleration, always had to be extra careful in wet condition. The tread was almost all gone when i replace them in just 14k km. I understand it is a budget tyre but with the total performance and experience i would not recommend it at all. Dangerous, do not last. I end up replace them with Good Year Eagle F1 Directional 5, so far so good. Put on front of a 2013 plate Mini Countryman to replace 2 worn Continental’s just before a spell of really bad weather set in (snow, sleet and ice) and l was amazed at the superb levels of grip these two Hi Fly’s gave in such conditions. Don’t listen to the people who knock Chinese tyres as they are usually the one’s who’ve never even tried them! Indeed, most of the so-called premium tyres these days originate from the Far East anyway. Save yourself a fortune and buy Hi Fly.